If you are a hassled parent of a preschool kid and are exasperated about the curriculum and methodology to teach your child, preschoolactivities.org is unarguably your friend in need. 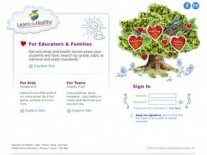 The website offers wholesome array of worksheets to prepare kids for their first step into elementary school. So whether your child is home schooled or goes to a preschool, you will find these worksheets extremely useful. They have been prepared with the aim of making kids understand the mathematical concepts and get enough practice in each one of them. Users can download the complete array of free worksheets at preschoolactivities.org and help your child hone mathematical skills required for preschool. Other than the worksheets, the website also offers a comprehensive research and lists the various preschools available at the various cities of USA. So whether you are searching for the nearest preschool of your child or looking for something to help your child learn and master the concepts, this website will help you in your endeavor. Other than the preschool directory, the website also offers facilities of any preschool based in the USA to enlist with it. Get going with your child’s preschool days with complete preparedness now. It would not be a bumpy ride anymore.